According to press reports, several calls were made to the police around 6:30p.m. 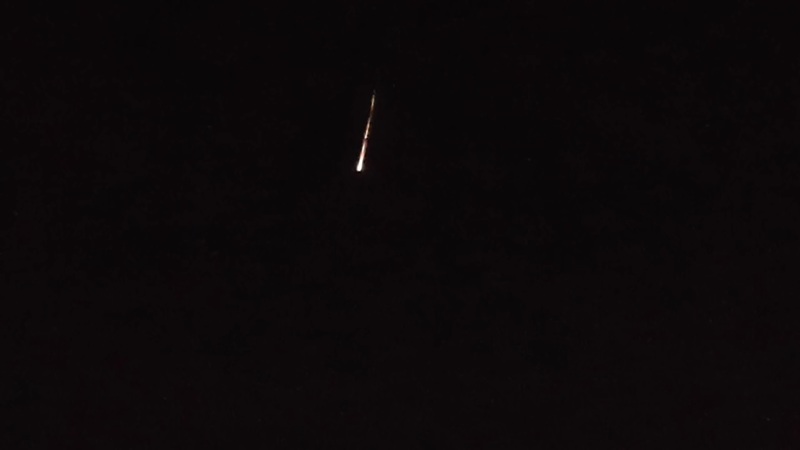 alerting authorities of a massive fireball appearing on the evening skies. 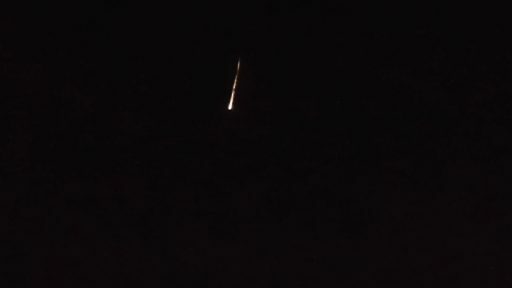 Witnesses reported seeing the object for at least 30 seconds, in the process breaking into several parts – consistent with a re-entering space vehicle shedding fragments in the upper atmosphere. Soyuz Block I stages are often seen re-entering the atmosphere due to the rapid launch rate of the Russian workhorse and the fact that its third stages often end up in short-lived orbits, especially for crewed Soyuz missions and Progress cargo flights to the Space Station. Being a sizeable object, the Block I stages can put on a spectacular show when re-entering in darkness, breaking up in a bright fireball that can remain visible for up to a minute. The Soyuz U rocket carrying the Progress MS-03 cargo ship lifted off from the Baikonur Cosmodrome at 21:41 UTC on Saturday and successfully reached orbit eight minutes and 45 seconds later. 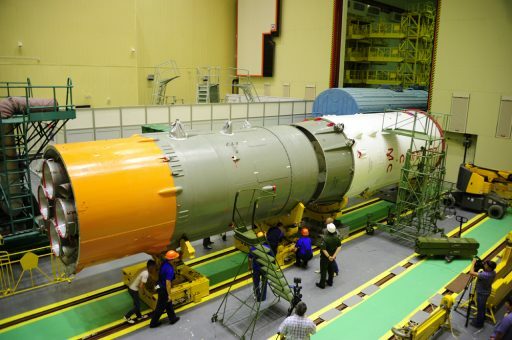 Progress MS-03 was separated from the upper stage and successfully raised its orbit to link up with the Space Station at 0:20 UTC on Tuesday, leaving the Block I stage behind in a 200-Kilometer orbit with an expected lifetime of around three days. It this particularly low orbit, plenty of atoms and molecules are present to cause drag on the upper stage and slow it down, causing it to lose altitude. Because spent rocket stages have a low mass and large surface area, their descent toward the dense layers of the atmosphere is relatively fast. Descending in altitude, the speed of orbital decay accelerates and rockets from Progress/Soyuz launches typically meet their fiery end two to four days after launch depending on atmospheric conditions driven by solar activity. Approaching its deadly dive into the atmosphere, the Block I stage crossed over Africa and Madagascar before passing over the Indian Ocean, heading into orbital night south of Tasmania. 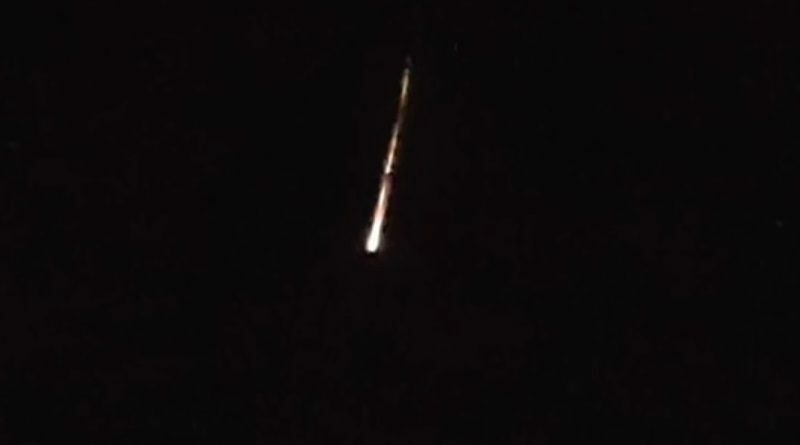 Its ground track over the South Island of New Zealand took the rocket body straight over Alexandra, Timaru and west of Christchurch. Observation reports came from a 570-Kilometer stretch from Alexandra and Cromwell all the way north to Nelson and Blenheim. The disintegration of the stage and the individual components, each in a blaze of fire can be seen in videos published on the Internet. One brighter piece pulls out in front of the smaller debris – likely the heavy engine section of the rocket stage representing the most dense component with the highest kinetic energy. This is especially true for rocket bodies that consist for a large part of thin metal that forms the propellant tanks. However, dense components such as spherical pressurant tanks and engine components can survive re-entry and reach the ground. 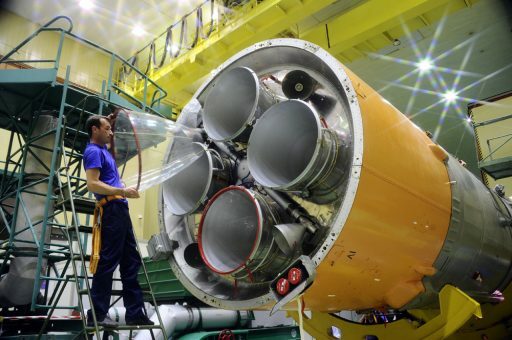 The Block I stage employed by the Soyuz U rocket measures 2.66 meters in diameter and is 6.74 meters long with a total mass of 2,410 Kilograms, powered by a single RD-0110 engine with four combustion chambers, delivering 30 metric-ton-force of thrust during the stage’s four minutes of operation. The heavy engine section weighs 410 Kilograms. Dense components that survive re-entry usually impact 800 to 1,300 Kilometers downrange from the Orbital Decay Point – Atmospheric properties such as crosswinds play a significant role during atmospheric descent. 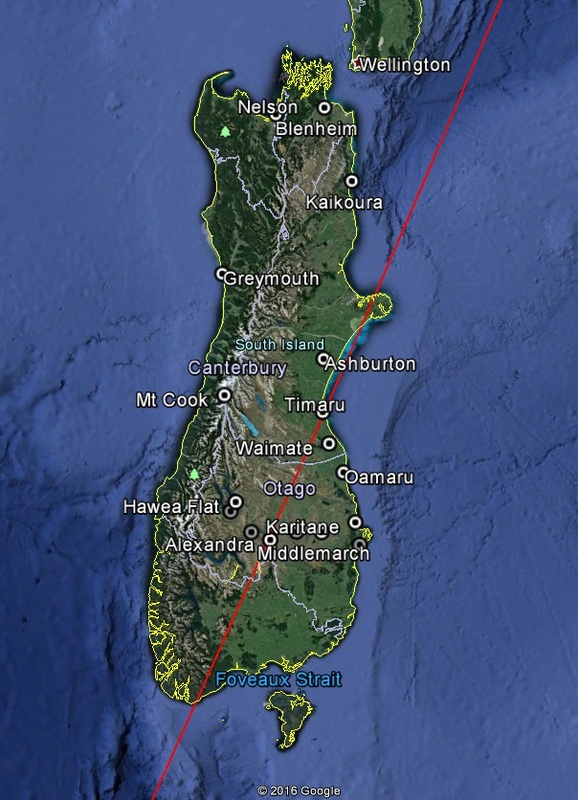 Based on the location of re-entry observations, the impact point is likely located west of New Zealand’s main islands.